New THERMAL XTC™ powder contains revolutionary ingredients that work to ignite your body's fat-burning potential. Evodiamine and other key potentiators raise your body's core temperature, which stimulates "thermogenic" fat-burning, allowing you to start melting away excess body fat. Compounds like the cutting-edge Green Coffee Bean Extract, Salacia Reticulata, Guggulsterone, Gamma Butyrobetaine, and Green Tea Extract, further accelerate THERMAL XTC's chain reaction by revving up your metabolism. By increasing both your energy expenditure and fat oxidation, these elements support you in achieving amazing results! What makes THERMAL XTC™ a truly evolved fat-burner is that it also functions as a potent mood-enhancer. Thanks to innovative ingredients like Rare Wild Nutmeg Extract (Myristica Fragrans), this high-tech supplement is able to induce a clean, consistent, rush of euphoric energy that will get you ready to kill your workout. Unlike many fat-burners (pre-workouts that can give you "jitters," THERMAL XTC™ is specially designed to induce a unique sense of euphoria similar to a "runner's high." This natural-feeling wave of energy will keep you focused and feeling amazing. Hormones play a huge role in both hunger and fat storage. In order to proactively attack fat, THERMAL XTC™ utilizes ingredients like Red Raspbery Ketones and African Wild Mango Extract, which work to manage hormone fluctuations and suppress cravings. Garcinia Cambogia is a new exotic fruit ingredient that also contributes to these effects. Not only does this compound reduce appetite, it's key ingredient, hydroxycitric acid actually works to block the storage of excess fat. THERMAL XTC™ is also designed to support fat-loss by helping to reinforce positive responses from the neurotransmitters (signaller chemicals) in the brain. Several ingredients including Garcinia Cambogia and Evodiamine work to elevate seratonin levels and manage the secretion of catecholamines like noradrenaline and dopamine, which counteract the stress hormone, cortisol. These effects help to reduce fat-storage and other by-broducts of stress and depression. WHAT MAKES THERMAL XTC™ UNIQUE? THERMAL XTC™ is the simply the most sophisticated mood-enhancing fat-burner on the market. 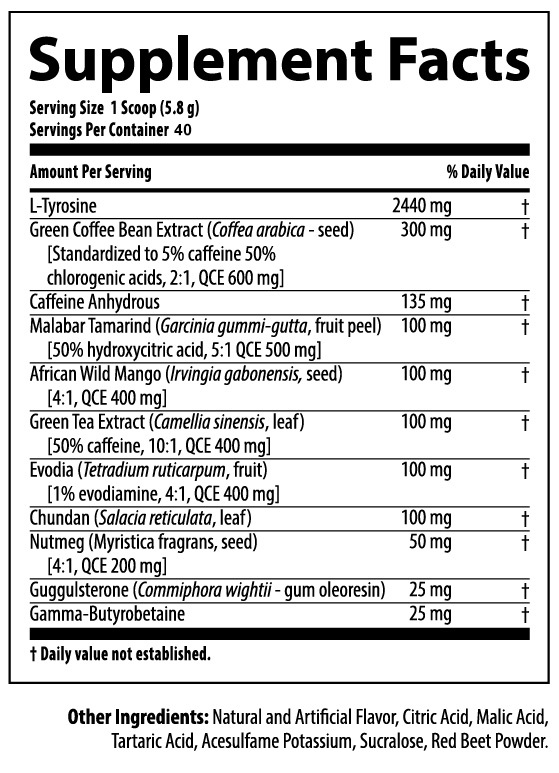 Unlike other products that rely primarily on cheap sources of caffeine and filler ingredients, THERMAL XTC™ harnesses the power of the most clinically advanced ingredients on the planet, including Garcinia Cambogia, Green Coffee Bean Extract, Red Raspberry Ketones, and African Wild Mango. Its potent matrix of ingredients is scientifically designed to ignite thermogenic fat burning, suppress cravings, and reduce fat storage. What really sets THERMAL XTC™ apart though, is its ability to support positive mood and energy by stimulating various neurotransmitters in the brain. This wave of energy takes effect within minutes of your first dosage and progresses into a clean, consistent, non-jittery energy source as you continue your training. Neurotransmitters are signaler chemicals that elicit reactions from our brain. They are our body's most powerful fat-burning hormone because they affect our mood, sleep, concentration, and most importantly - our stress. Deficiencies in various neurotransmitters can often result in excess levels of the stress hormone cortisol, and lead to weight gain. As a proactive solution to help prevent neurotransmitter imbalances and promote overall well-being, THERMAL XTC™ utilizes ingredients like Evodiamine and Garcina Cambogia, which have suggested to increase both the happiness hormone seratonin and catecholamines like Norepinephrine and Dopamine. Boosts in these critical chemicals can help to enhance the body's preparedness for physical and mental stress. WILL THERMAL XTC™ GIVE ME "JITTERS?" While many stimulant products on the market leave you feeling shaky and agitated, THERMAL XTC™ is formulated to provide a smooth, consistent energy, while inducing an exceptional state of mental well-being and focus. Many athletes have attributed this energy rush as a "clean" energy similar to a "runner's high," which gives you focus and intensity without the jitters that are often found with products that base their formulas on cheap caffeines or other stimulants. With THERMAL XTC™ you can experience an unstoppable rush of clean, euphoric energy. WHEN SHOULD I TAKE THERMAL XTC™? Competitive bodybuilders, physique athletes, and figure/bikini competitors looking to get ripped in record time have used this supplement with amazing results! If you've been working out, lowering your caloric intake and are struggling to get rid of that extra layer of fat, try adding THERMAL™ to your arsenal. THERMAL XTC™ is also used by models and actors who've already attained their desired level of body fat and simply want to maintain their ripped physique all year round for photo shoots or just to impress! For best results, consume THERMAL XTC™ 10-15 minutes prior to intense exercise. 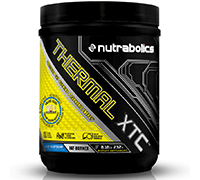 Add 1 scoop of THERMAL XTC™ to 8-10 oz. of ice-cold water and stir or shake for a few seconds. Begin with 1 scoop to assess tolerance before considering increasing the dosage. Warning: For Adult use only. Keep out of reach of children. Consult your physician before using the product if you have any medical condition. Do not use if you are pregnant or nursing. For best results combine with a diet and exercise program.